Scroll through to see some of Thursday's best moments from the Rio Paralympic Games. Charles Moreau was all smiles after winning his second medal at the Rio Games. Aurelie Rivard celebrates after a world record-shattering gold medal win on Thursday. Benoit Huot shares an emotional moment with his family after winning his 20th Paralympic medal in his last race. 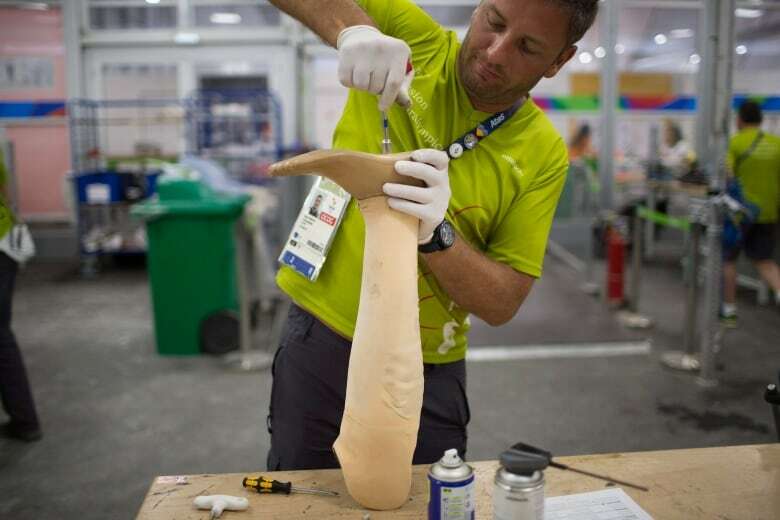 An inside look at one of the technical repair shops in Rio as Garibyan Tigran fixes a Ukrainian athlete's prosthesis. 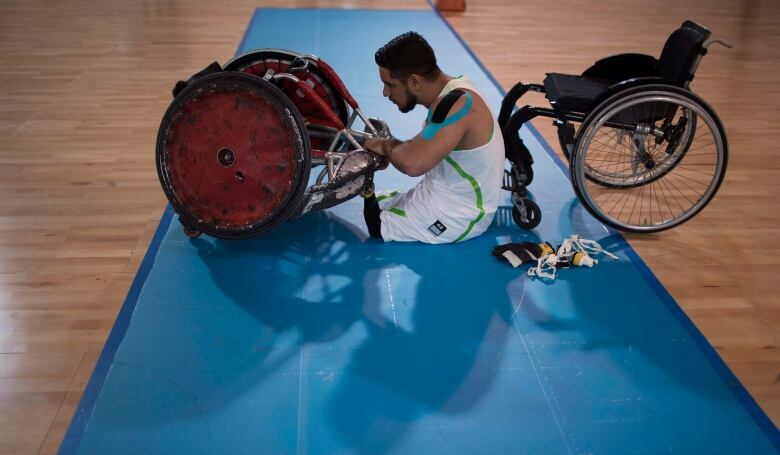 Brazil's Julio Braz prepares his wheelchair before his team's wheelchair rugby game against Australia.